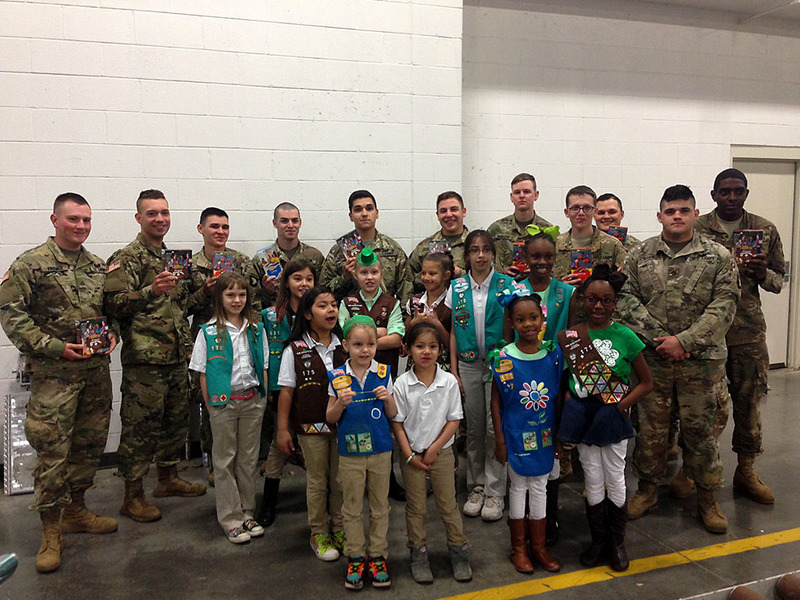 Nashville, TN – Girl Scouts of Middle Tennessee (GSMIDTN) donated 37,444 boxes of Girl Scout Cookies to Fort Campbell soldiers through its Gift of Caring program on March 17th. This donation amount was a 20.37% increase from last year’s gift. Through Gift of Caring, Girl Scouts are able to show their appreciation for men and women in uniform or support those in need by giving them Girl Scout Cookies. Girl Scouts with Fort Campbell soldiers on March 17th. 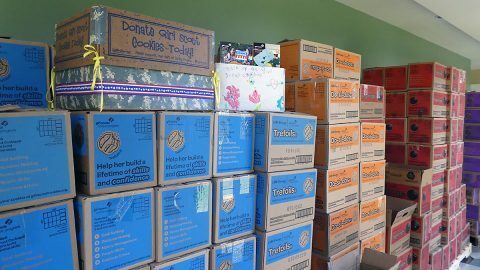 Girls choose an organization they want to benefit and give customers the opportunity to purchase cookies as a donation. For the past six years, GSMIDTN has been partnering with Hugs for Our Soldiers to donate cookies to the soldiers at Fort Campbell. “We are extremely fortunate to be the organization that Girl Scouts chooses to support,” said Kathy Orcutt, founder of Hugs for Our Soldiers. The delivery of these cookies would not have been possible without the generosity of M&W Logistics Group. 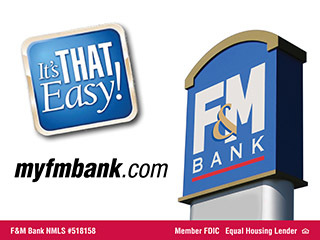 M&W enjoys the opportunity to donate a driver, trailer and tractor to deliver Girl Scout Cookies to Fort Campbell each year. 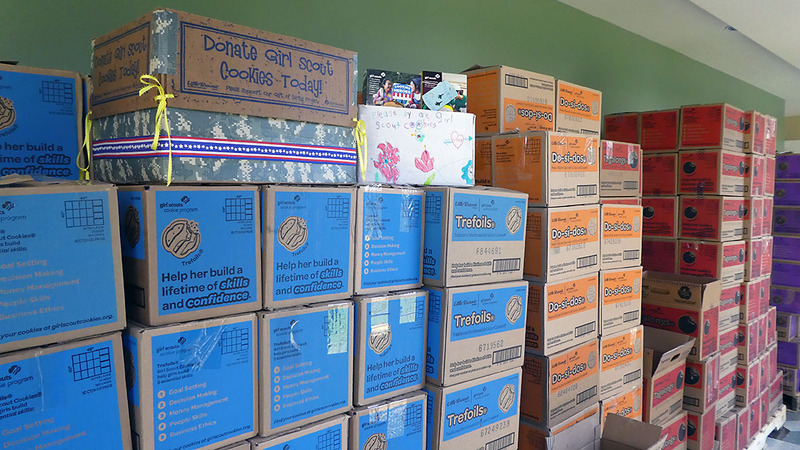 In addition to the packages donated to Fort Campbell, 25,838 packages of cookies will be going to charities across Middle Tennessee, making for a total of 63, 282 packages of donated cookies through Gift of Caring. Girl Scouts of Middle Tennessee serves more than 14,000 girls and 7,000 adult volunteers in 39 counties. It is a part of Girl Scouts of the USA (GSUSA), the world’s preeminent organization for girls, with a membership of more than 2.6 million girls and adults nationwide. GSUSA continues to strive to build girls of courage, confidence, and character, who make the world a better place.